Purpose: This manuscript explores the link between Spare Parts Management and Total Costs of Ownership or Life Cycle Costs (LCC). Design/methodology/approach: First, this work enumerates the different managerial decisions instances in spare parts management that are present during the life cycle of a physical asset. Second, we analyse how those decision instances could affect the TCO of a physical asset (from the economic point of view). Finally, we propose a conceptual framework for incorporating the spare parts management into a TCO model. Findings: The recent literature lacks discussions on the integration of spare parts management with the Total Costs of Ownership (TCO). Based in an extensive literature revision we can declare that the computation of costs related to spare parts management has been neglected by TCO models. Originality/value: The contribution of this paper is twofold. 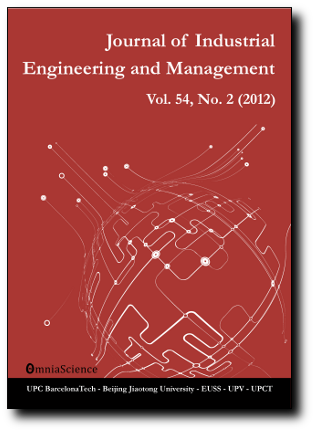 First, a literature review and identification of a series of spare parts management decision instances and its relationship with TCOs is presented in this paper. Second, a conceptual framework is suggested for linking those decisions instances to a total cost of ownership perspective. Some research questions and future research challenges are presented at the end of this work.